I grew up hearing this story from one of the greatest storytellers I know. Fr. Michael Kennedy was the pastor at my childhood Catholic church and elementary school. As a child I listened to his stories at Friday morning school mass and eventually studied with him in preparation for my first communion and confirmation. Father Michael has a special commitment to children and prisoners. In his book, the forwarding author states that Fr. Michael believes that our Father God lends a special ear to children and prisoners, as his Son was both. He spent his life sharing the good news of Jesus Christ through storytelling and song. 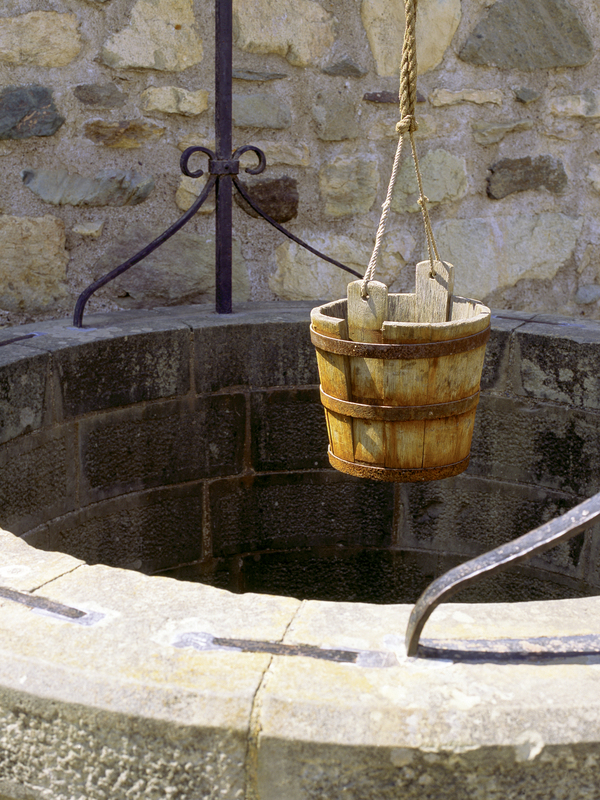 One of his most convicting works is his re-telling of the woman at the well. It starts at the well in Sychar, where Jesus sits to rest his feet in a bit of shade. The woman from Samaria comes to draw water and Jesus asks her for a drink. Immediately she asks how he a Jew could ask she a Samarian for a drink. Bible Gateway’s commentary for today’s reading discusses the history behind the tension between Jews and Samaritans. At this time the hatred between the two groups had grown so fierce, there was no opportunity for positive interaction between them. The hatred between these two groups had become so contentious and volatile that folks couldn’t be at the well together. Did you really hear that? We are living in a Jews versus Samaritans world. The democrats and republicans can’t come to the same well! Like the woman at the well, we invest in conversation about our differences rather than spending our energy on our eternity. The gospel is absolutely alive in our lives today and we are just dipping water from our own “wells” drinking it over murmurs of hostility and antagonism. Again and again Jesus sets an example for us, teaching us how we are to live as Christians. He reaches across the aisle here and offers this woman a drink of eternal salvation. He offers her living water. And still here, she has no idea who she’s dealing with. She asks him, “…where do you get that living water? Are you greater than our father Jacob? He gave us the well and drank from it himself, as did his sons and his livestock” (John 4:11-13). She is standing with Jesus, cup in hand, chatting him up about water quality when really, the man standing before her is not the enemy she perceives him to be. It is not until he proves himself to her by showing how much he knows about her, that she believes. Do we need proof to believe what cannot be seen? If I were standing at the water cooler with Jesus would I recognize him? One of my favorite descriptions of faith is just that: believing in what cannot be seen. Can I go to the well in search of living water and trust that He has it for me? Is it possible for me to see God in the Samaritan at work or in the store and share living water with him? As a young adult, the lesson I drew from this scripture was about seeking God first. It was about finding a path in my life that ran alongside that living water. A path to healing the sick, ministering to children and having a family that mirrors Him. Today, as I re-read the story of the woman at the well, it resonates in a whole different way. The woman says, “Sir, you have nothing to draw water with and the well is deep.” The well is deep. Doesn’t it feel deep? Doesn’t it feel some days like the living water we need is unreachable? Then Jesus says to her, “Everyone who drinks of this water will be thirsty again.” Yes. I am constantly thirsty again! I am always coming to the same well thirsty. I’m thirsty for more money, I’m thirsty for the next iPhone, I’m thirsty for a better job, I’m thirsty for the next best workout, I’m thirsty for more dark chocolate crunch pretzel crisps… Then Jesus seals the deal, he says, “but whoever drinks of the water that I will give him will never be thirsty again. The water that I will give him will become in him a spring of water welling up to eternal life.” (John 4:11-14) If you can’t feel him reaching through the page of your bible or the screen right now, close your eyes and feel harder!!! He’s here with us, this message for the woman at the well isn’t just for her. It’s a very real promise he makes to all of us. Please share the message of the woman at the well with someone today. It is through you that Jesus can give living water.